It’s funny how you can hear the same thing over and over again and it doesn’t make sense until something happens that just makes it click. That happened to me a few days ago when I was watching Tiger Woods hit a few tee shots. On every tee, His GOATness took two relatively slow, graceful practice swings—swings any one of us could make. I would hurt myself if I swung at the ball like he does, but I am right in there with his practice swing. Which gave me an idea for my game. Hit the ball with my practice swing. I know, everyone has heard that a thousand times before, but watching Tiger’s practice swing next to his real swing made me finally comprehend what that advice really means. His practice swing is slowed way down so he can feel everything. He’s checking all the marks that he pays attention to along the way. What those marks are is not important. That his swing is error-free is important. Now he is good enough to step on the gas with a ball in front of him and still make an error-free swing. We are not. 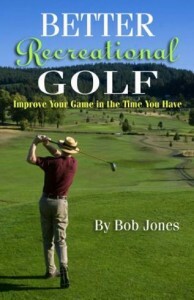 I would suggest that before each shot the recreational golfer take a few unhurried, perfect practice swings, and use THAT SAME SWING for hitting the ball. That will provide the time to hit all the marks that are important for making a successful swing. You will not rush yourself through your swing and miss some of your marks, or more importantly, force the club out of position by making your body keep up with itself, and fail to. Many amateurs have a problem getting their weight onto their left side before impact. Swinging slower gives them time to do that. Many amateurs throw the club at the ball from the top. Swinging slower makes it easier to hold onto their lag and release it naturally at the ball. Swinging slower makes it easier to swing from start to finish rather than from start to impact. 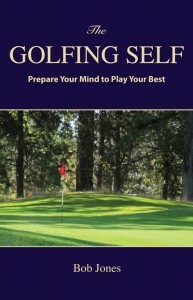 I wrote in my Living Golf Book that your ideal tempo is the fastest you can swing through impact and consistently hit solid shots off the center of the clubface. 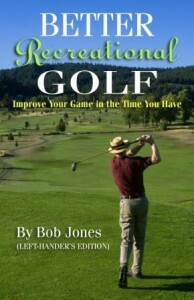 For many recreational golfers, that isn’t nearly as fast, or as forceful, as they now swing. Will you lose distance? Maybe, at first, but when you have settled into hitting the center of the clubface, that distance will come back AND you will be much straighter. The swing you make before you hit the ball is the same swing to hit the ball with. There should be no, zero, difference between the two. Hopefully it is an unforced swing that leads to your finest shots time after time.